We start with a short presentation of the difference in attitude between mathematicians and physicists even in their treatment of physical reality, and look at the paradigm of quantization as an illustration. In particular, we stress the differences in motivation and realization between the Berezin and deformation quantization approaches, exposing briefly Berezin’s view of quantization as a functor. We continue with a schematic overview of deformation quantization and of its developments in contrast with the latter and discuss related issues, in particular, the spectrality question. We end by a very short survey of two main avatars of deformation quantization, quantum groups and quantum spaces (especially noncommutative geometry) presented in that perspective. Bibliography: 74 titles. Published in Zapiski Nauchnykh Seminarov POMI, Vol. 331, 2006, pp. 199–220. J. Fröhlich, “Atomism and quantization,” Talk at the Simonfest. Caltech, 27 March 2006; http://math.caltech.edu/SimonFest/Abstracts/frohlich abst.pdf. 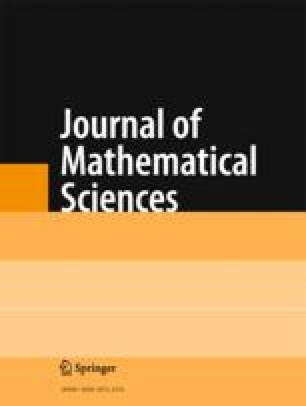 Research Group in Mathematical Physics (J. Fröhlich, A. Knowles, and A. Pizzo), “Atomism and quantization,” ETHZ preprint (September 2006), posted as mp_arc 06-323. J. W. v. Goethe, “Maximen und Reflexionen,” Nr. 1005, in: Werke, 60B (1827–1842); http://www.wissenim-netz.info/literatur/goethe/maximen/1-16.htm#1005.